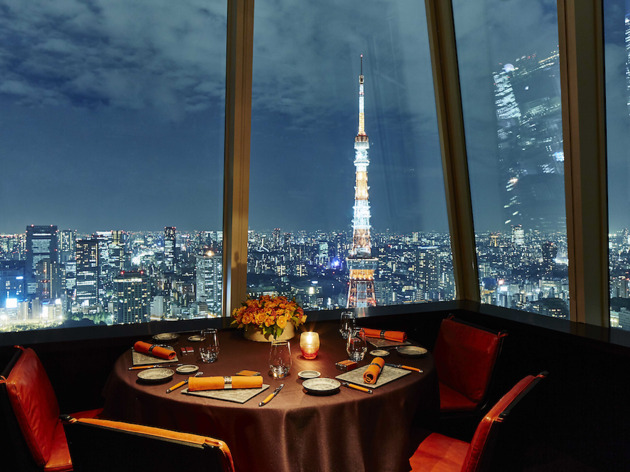 There are few things more breathtaking than gazing out over the sea of lights that is Tokyo at night, and virtually everyone in the city has their own favourite spot for viewing the spectacle. 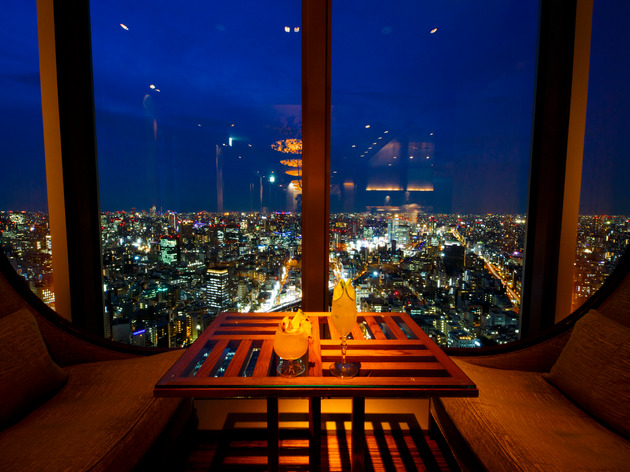 Admiring the view is of course best done while sipping a drink in good company, but the vast selection of rooftop restaurants and bars can be a little tricky to navigate – especially if you're on a budget. 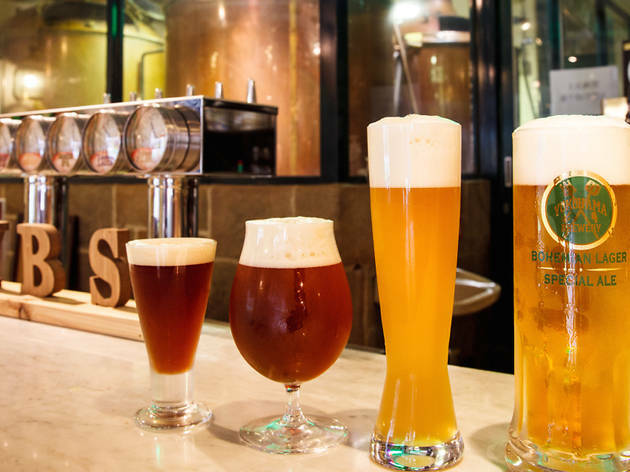 Whether you're looking to impress a Tokyo newbie, planning a very special date or just want to feel like a VIP for a few hours, consider checking out some of the 15 top Tokyo bars listed below. 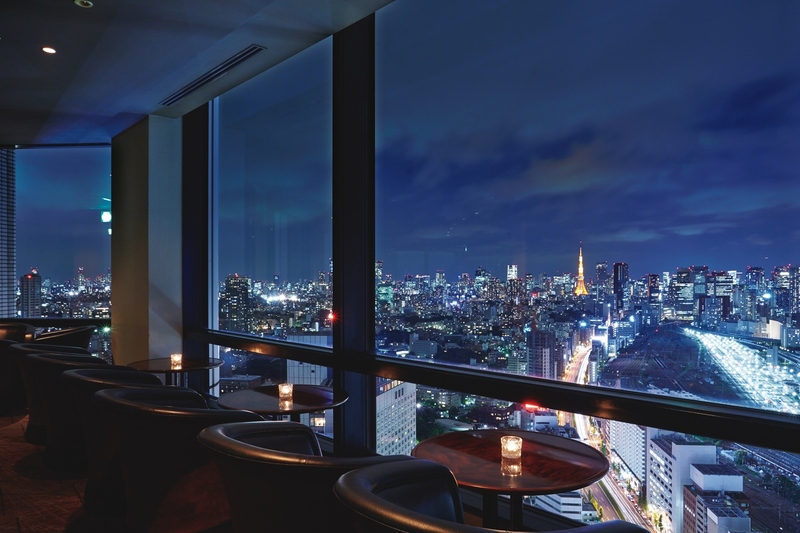 All of these offer noteworthy night-time views, ranging from classic skyscraper vistas to offbeat perspectives, and are accessible even to thrifty boozers on the hunt for a little luxury. 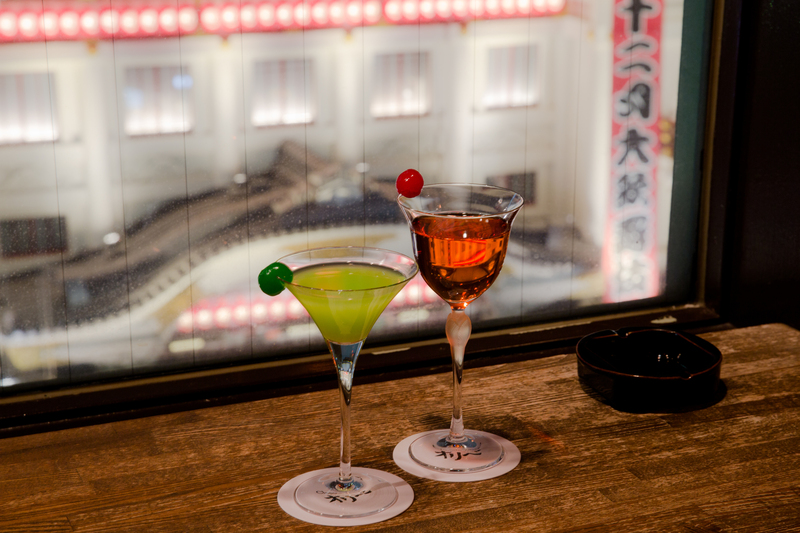 Appropriately refined for its magnificent location (seventh floor, directly across from the Kabukiza), this Ginza bar is named after samurai and tea ceremony master Furuta Oribe. 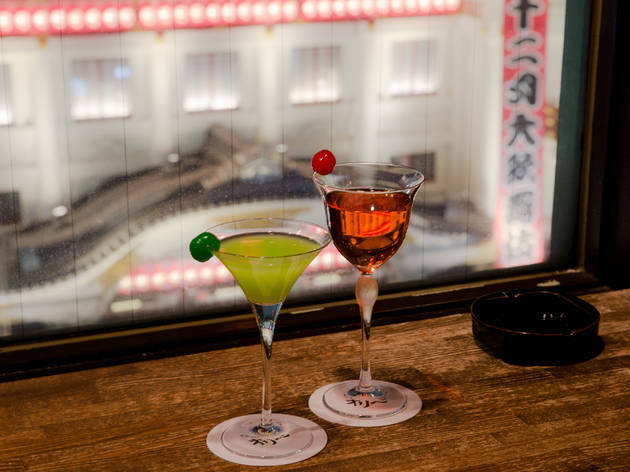 Although the views of the iconic theatre are the main attraction, the veteran master here also serves up some mean cocktails – try the sublime Silver Bullet for a drink matching the atmosphere. 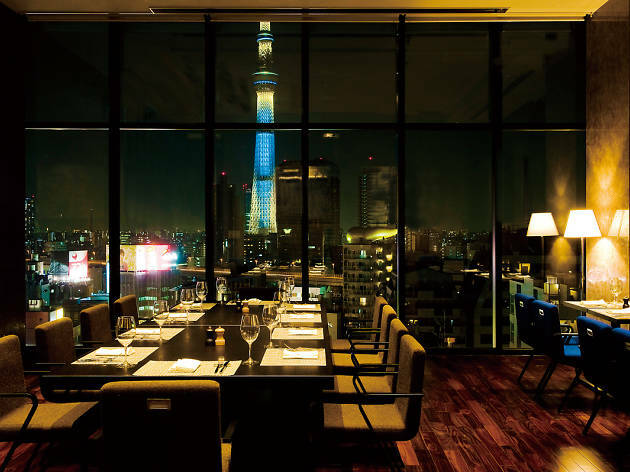 Found on the 13th floor of Asakusa's Gate Hotel, this bistro-style restaurant boasts a superb outdoor terrace that's become one of the toughest reservations in town. 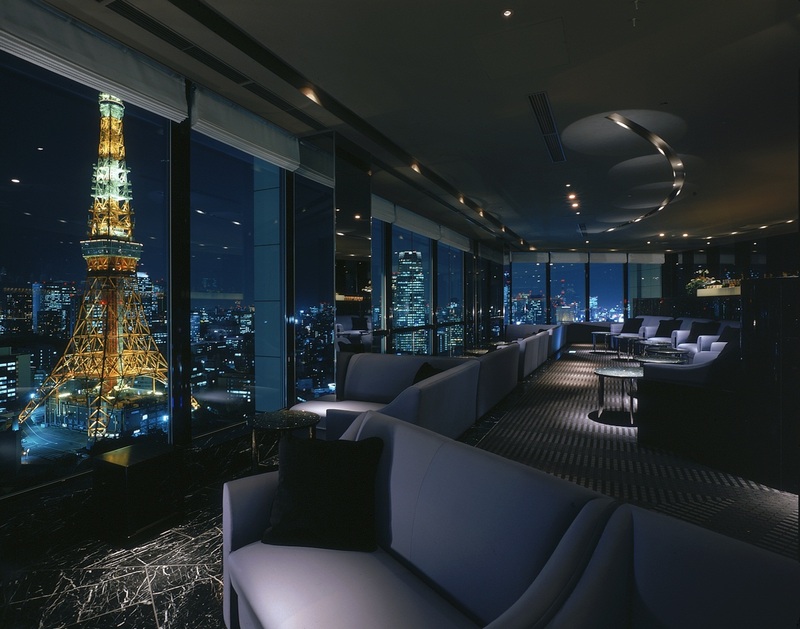 Those who can't secure a spot will find comfort in the fact that most of the indoor seats still offer rather stunning views of the Skytree and the surrounding area. 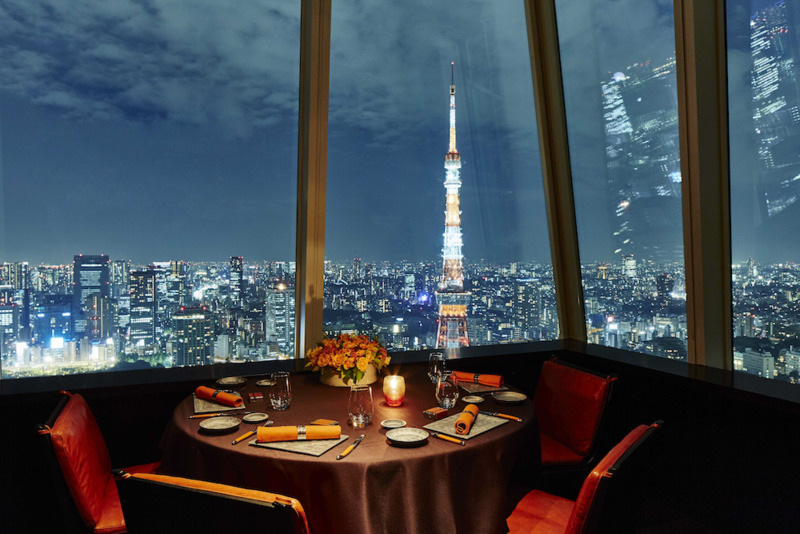 Although the Skytree is taller, newer and fancier, many Tokyoites still prefer good old Tokyo Tower over its upstart challenger. 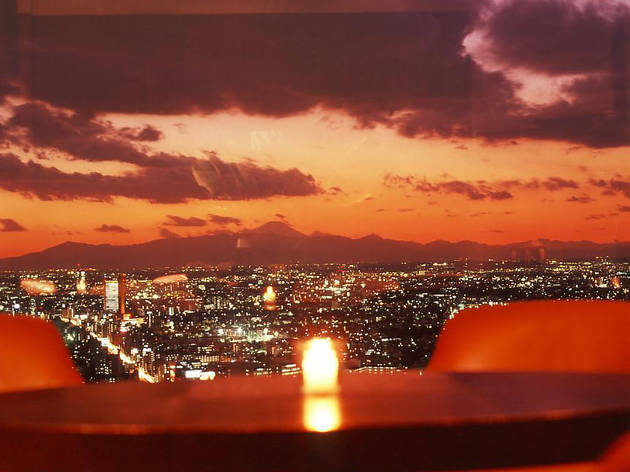 If you agree that the city's original symbol and beloved Eiffel Tower rip-off is still number one, you owe it to yourself to check out the Prince Park Tower's 33rd-floor Sky Lounge and its eye-popping views of the orange-and-white mast. Especially stunning when lit up at night, the tower is best viewed from the 'pair seats' by the windows. 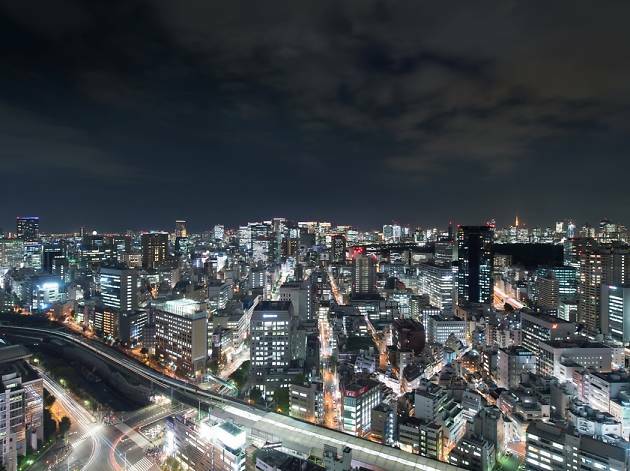 Nihonbashi, the heart of old Edo, now has its share of high-rises, but none of these towers stand out quite like the one housing the Mandarin Oriental hotel. 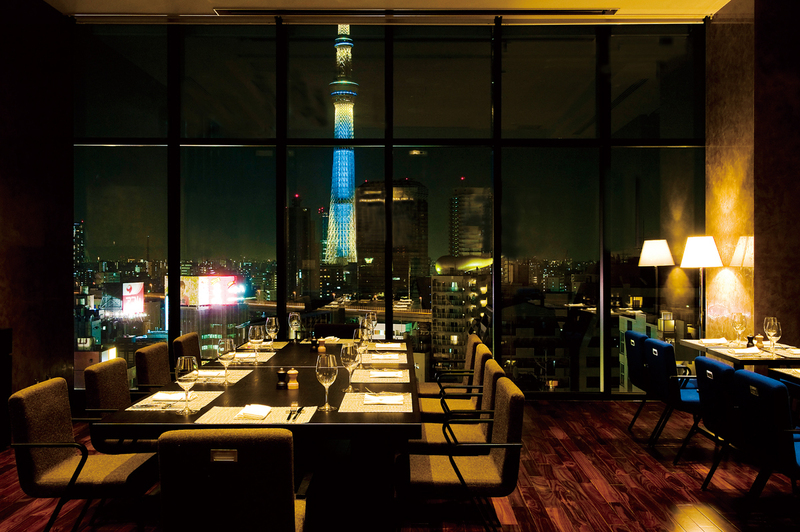 Perched on the 38th floor, its comfy lounge boasts stunning city vistas – consider picking a seat by the windows on the north side and gaze out over the still very Showa-esque cityscape of Akihabara, Asakusa and the rest of the old shitamachi. 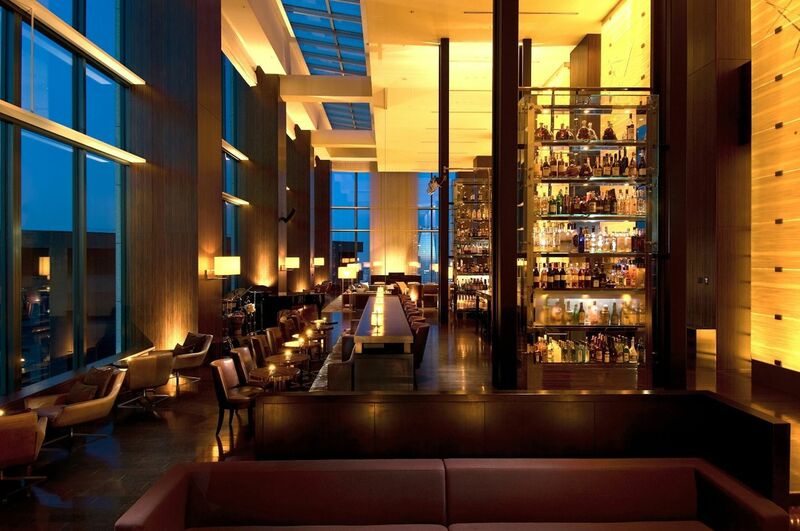 Dim lights and candles set the mood for live music in the evenings, while the drink selection ranges from classic cocktails to a plentiful lineup of Japanese craft gin. 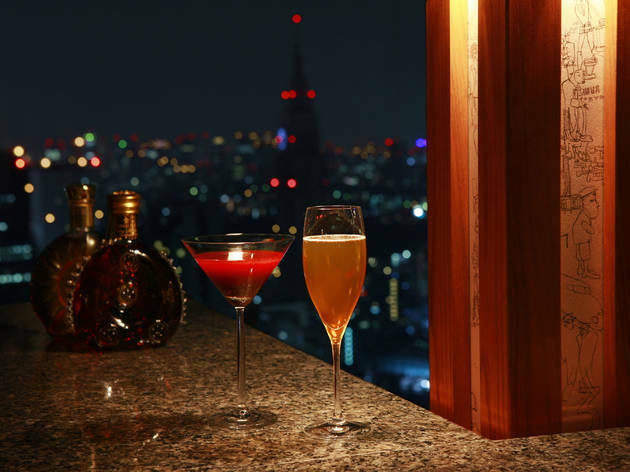 With unimpeded views all the way to Tokyo Bay, the Andaz's terrace bar is perched on the top floor of Toranomon Hills and offers a spectacular late-night experience. 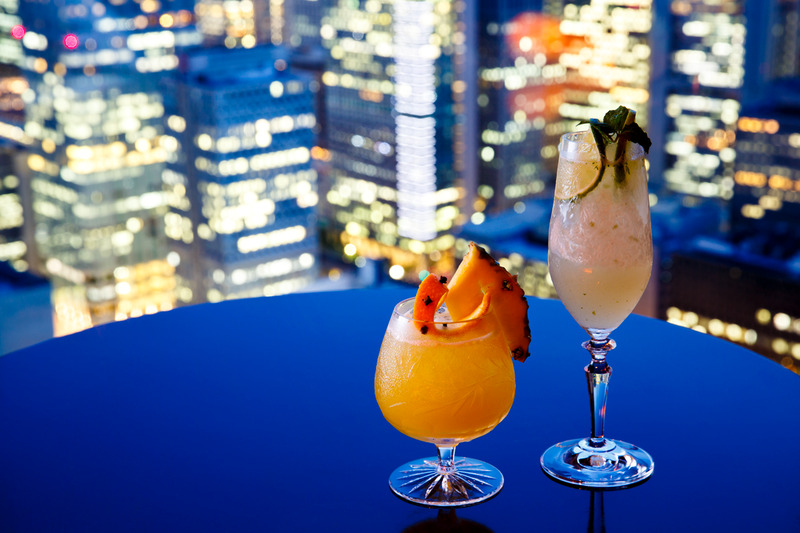 Seasonal fruit and teas form the basis for the cocktails here, while other drink options include domestic beer, fine champagne and sake. 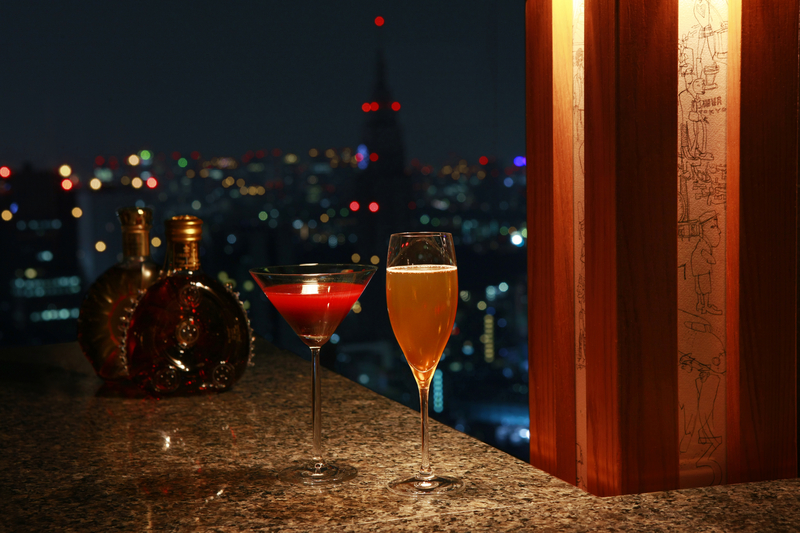 Press the intercom at the front entrance of one of the posh buildings overlooking Ebisu Park and you'll gain entrance to an elevator that'll take you up to Deva, a stylish hideout bar with plum views of the entire Shibuya area. In business since the late '90s, the spot is especially nice for date nights and other special occasions, and the fair prices add to the attraction. 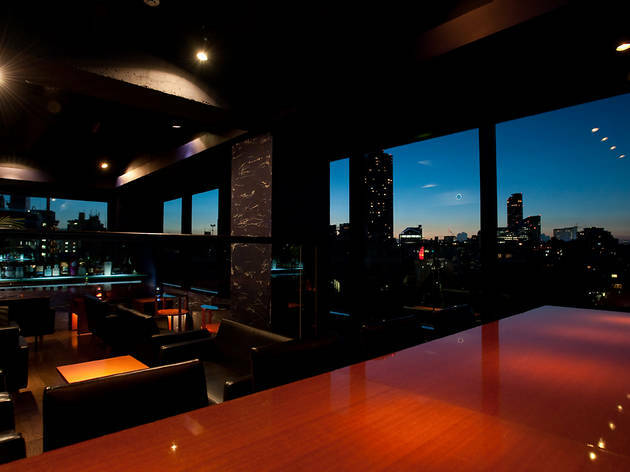 Tucked away on the 42nd floor of Atago's Mori Tower, this luxurious space offers night views of the bay area that can be seen from any seat in the house. The floor is divided into three: Italian restaurant Salvatore Cuomo Bros offers fine Italian cuisine, Japanese restaurant Tempura & Sushi An offers a range of Japanese flavours including kaiseki dishes, and at The Bar, you can enjoy select house cocktails and wine. Just an FYI, there's a dress code for the guys: no sleeveless shirts, shorts or sandals. It's a fairly standard fancy hotel bar, except for the view: the Shinagawa Prince Hotel's top-floor North Bar offers some pretty damn impressive vistas, with Shinjuku's skyscrapers, Tokyo Tower, Roppongi Hills and the Skytree all visible from here. 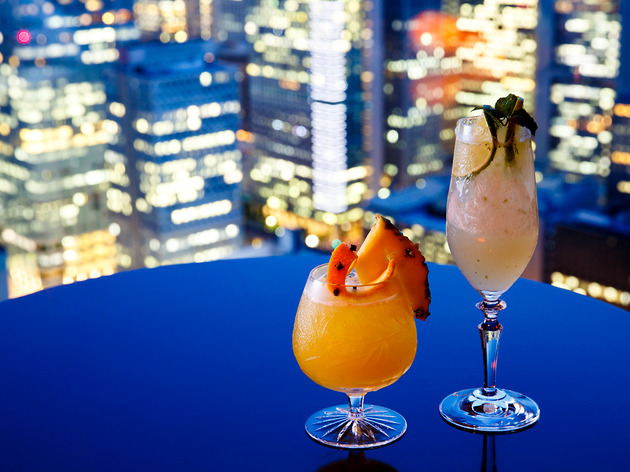 Drinks start from ¥950. 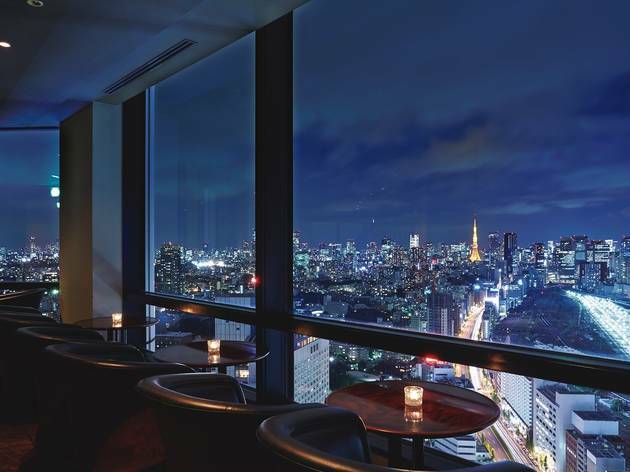 For an offbeat spot to admire the city at night, this small, all-standing bar on the top floor of the Tokyo Dome Hotel is a choice worth noting. 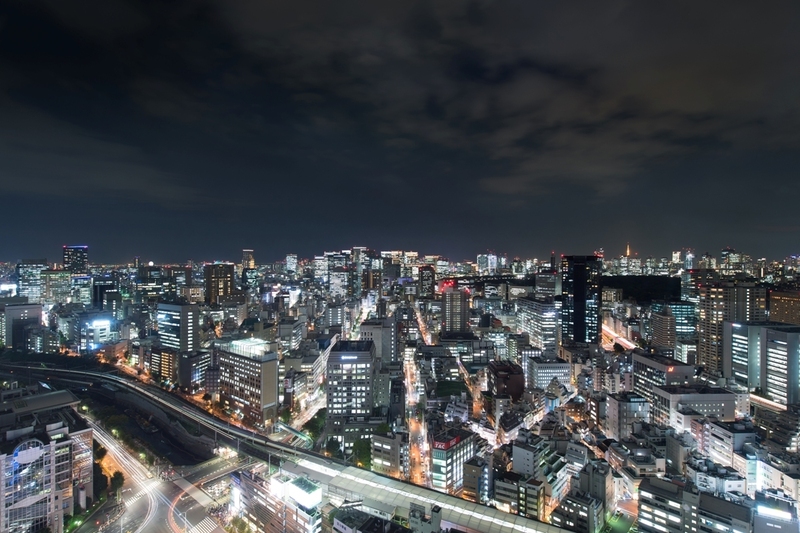 Although somewhat awkwardly placed on the side of a banquet hall mostly used for weddings, C Maj offers gorgeous vistas toward the Imperial Palace and Kanda, as well a rare overhead look at Tokyo Dome and its associated amusement park. 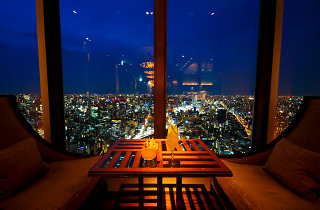 Perched on the 41st floor of Shinjuku's Park Hyatt, The Peak is the go-to spot for admiring the Nishi-Shinjuku skyscrapers at twilight. 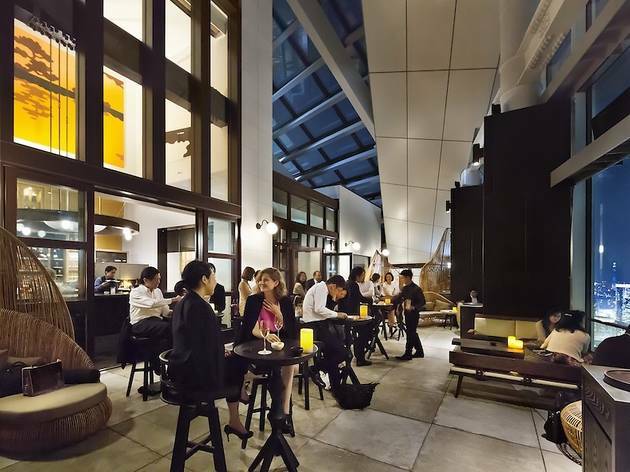 And it isn't just the view that's worth sampling: their 'Twilight Time' happy hour runs from 5pm to 9pm and features free-flowing cocktails and wine, a canapé buffet and live DJ tunes Wednesday through Saturday. 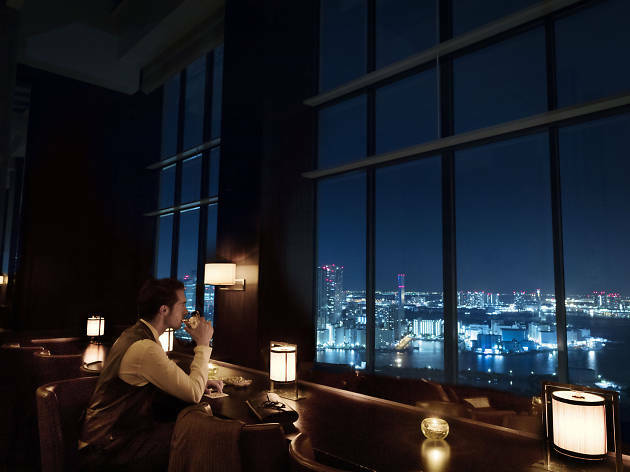 The Conrad's signature bar and lounge dazzles with huge windows that reach almost all the way up to the 8m-high ceiling, offering unbeatable views over the Hamarikyu Gardens, the Rainbow Bridge and Tokyo Bay. Bossa nova and other live Latin tunes make for nice accompaniment. 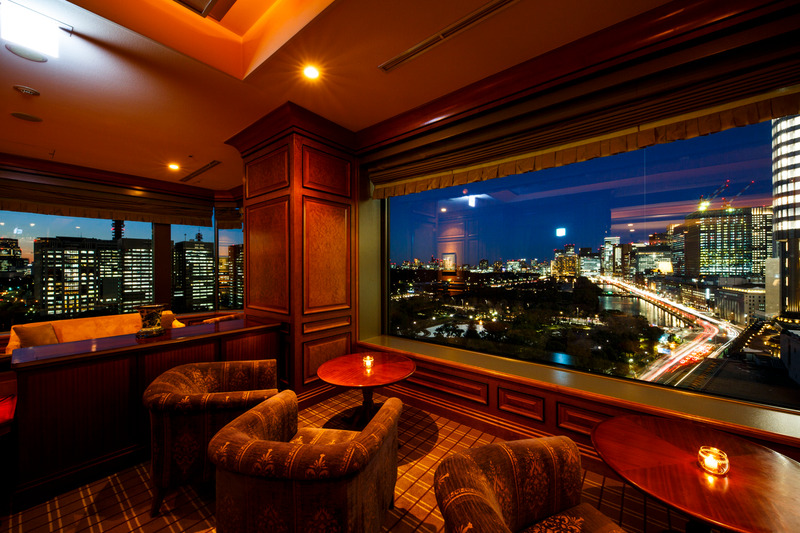 Odd man out on this list is the Forest Inn Showakan's retro lounge and its unique night-time view: you'll be able to look straight beyond the Showa no Mori woods and into the USAF's Yokota Air Base, a hub of activity until late at night. 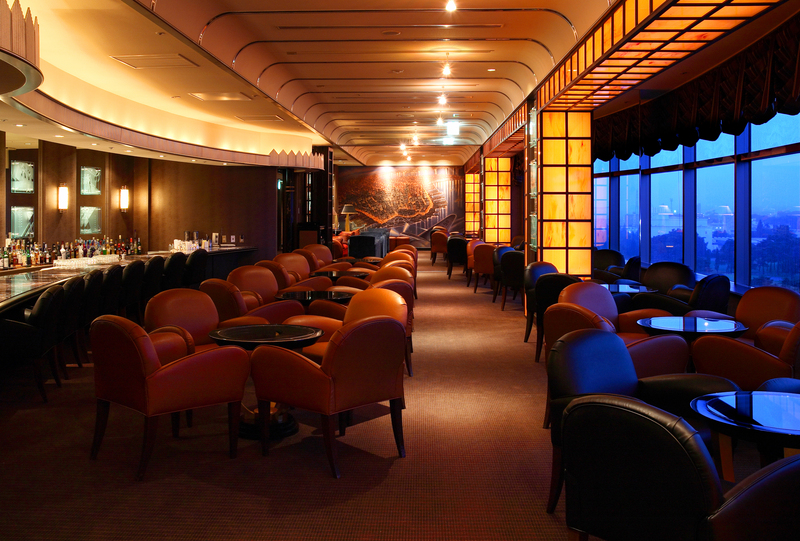 The lounge is even decorated like a passenger airliner, adding some fun extra flavour to your plane-watching. 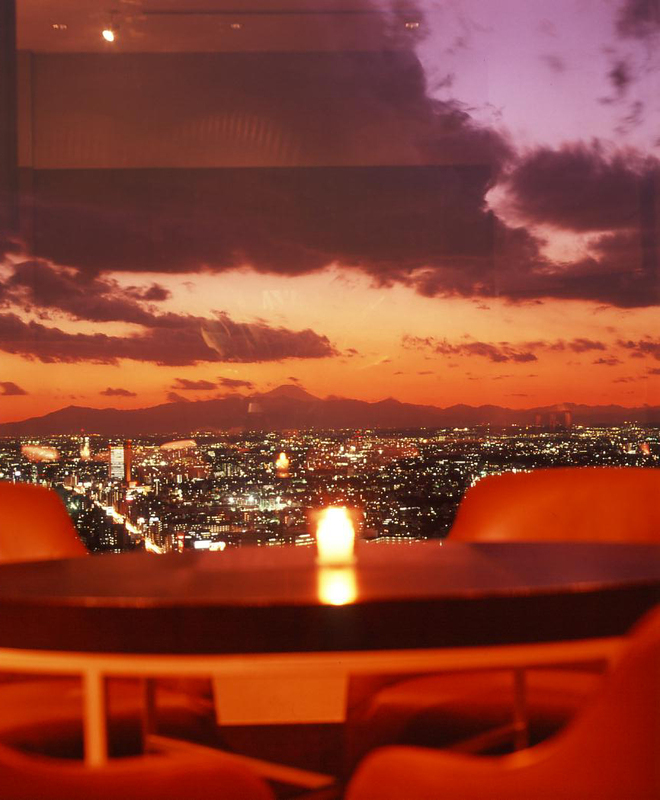 There are more luxurious hotel bars in town, but the enormous glass windows of the 40th floor Bello Visto make this a spot worth checking out – especially at sunset, when the Tanzawa mountains in the distance assume a fiery appearance. To ensure a seat by the window, booking is advisable (but available only before 7pm). 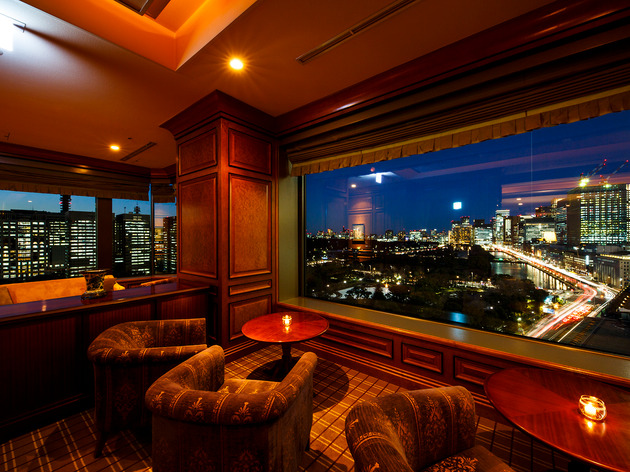 The legendary Imperial Hotel's top-floor lounge is the work of British designer Julian Reed and gives off an air of understated luxury. 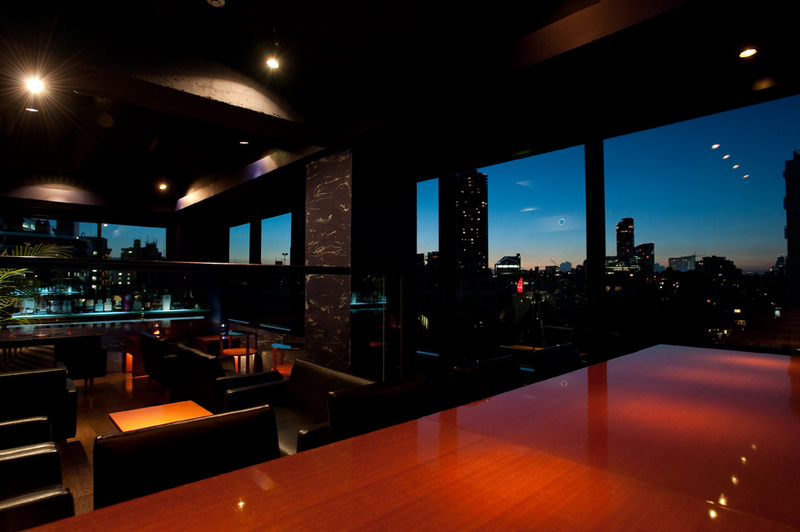 Head up at night, take a seat by the counter at the very back of the room, and rest your eyes on the majestic view. 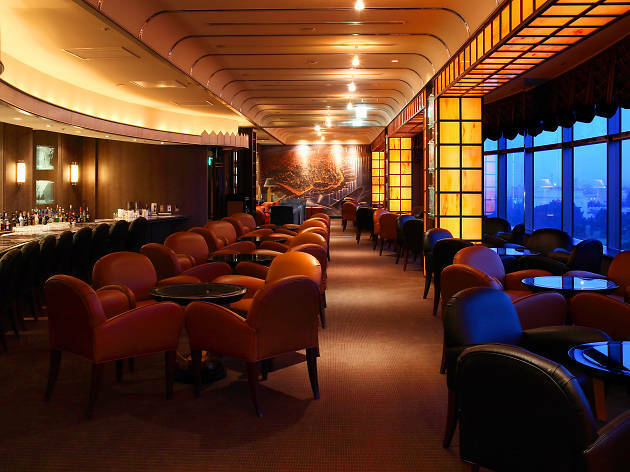 The Conrad's signature bar and lounge dazzles with huge windows that reach almost all the way up to the 8m-high ceiling, offering unbeatable views over the Hama-Rikyu Gardens, the Rainbow Bridge and Tokyo Bay. 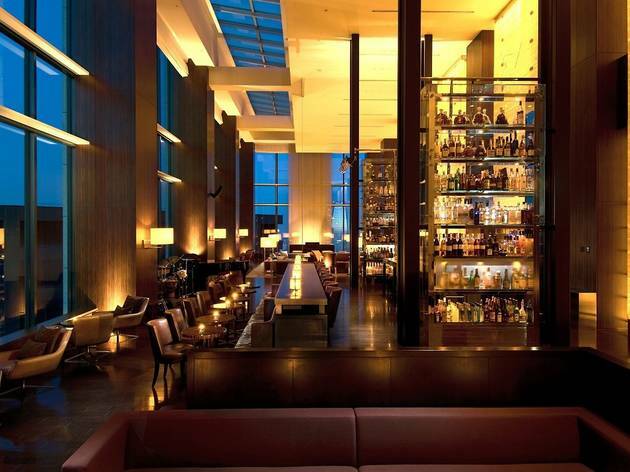 The tipple selection is relatively unsurprising and predictably pricey, but the bossa nova and other live Latin tunes make up for it. Go at night for the best atmosphere.